Réveillez le guerrier endormi en vous. This is the most amazing story I've ever heard. I know nothing above this level of accomplishment. A great book. If you've ever went through hard times, fatigued of hollow words, you definitely need to read this masterpiece. 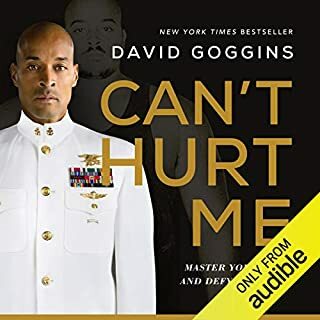 David Goggins has so many lessons of strength and combativity. Although I've never seen such mindset in my life, I think he has just opened a new door that many people will rush in.